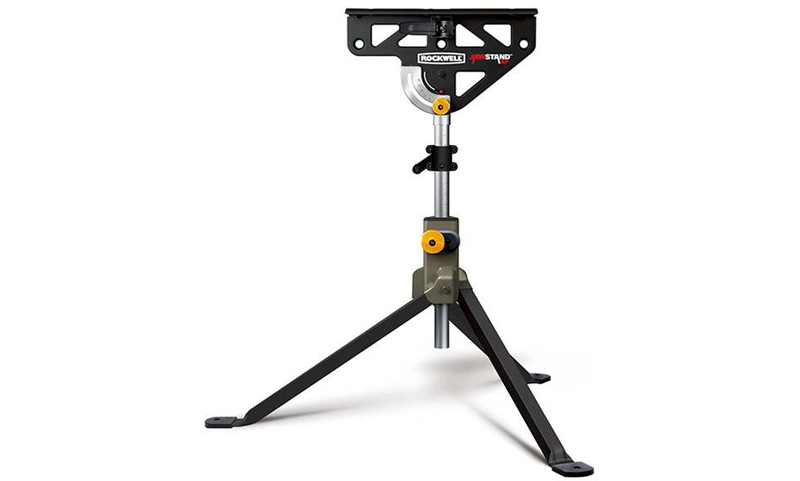 It’s nearly impossible to succinctly explain the features, versatility and value of the Rockwell JawStand XP. At first glance it appears to be a clamping fixture, which it is. 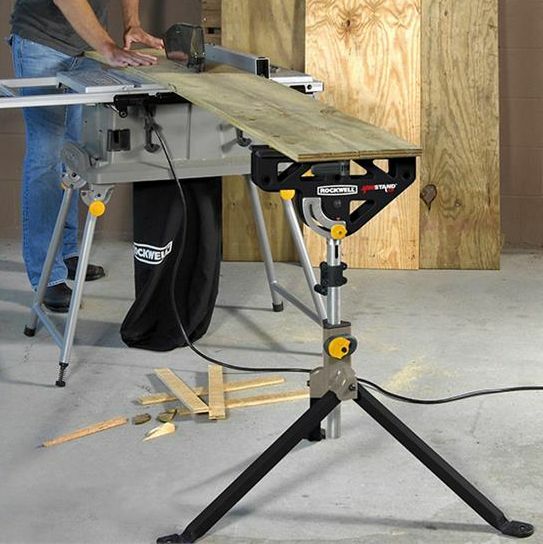 It also looks like an outfeed support for a table saw or planer, which it is, as well. But it’s so much more. 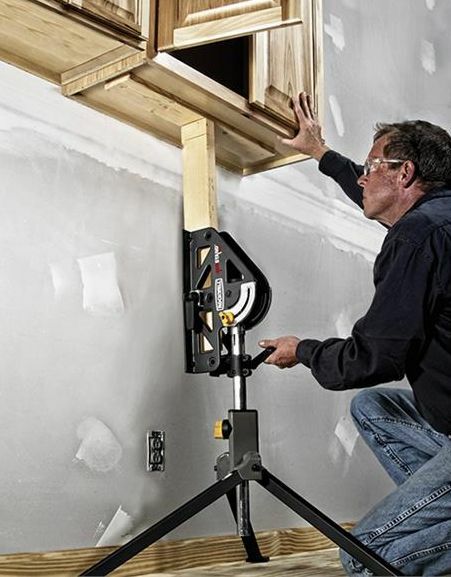 The Rockwell JawStand XP is a three-legged, height adjustable, pivoting, clamping, work-holding device that can save you time and make life much easier around the shop, home and jobsite. The ruggedly built JawStand XP has three tubular steel legs that collapse for easy storage. The foot of each leg is fitted with a thick 2½-in.-wide rubber shoe, so it won’t scratch finished floors. The legs are connected to central hub that houses an adjustable tubular steel column. Attached to the top of the steel column is a metal clamping head with two 15-in.-wide jaws that can grip work pieces up to 1¾ in. thick. A quick-release cam-action clamp lets you to quickly and easily clamp and unclamp the jaws in an instant. and other heavy or unwieldy pieces. It can support up to 220 lbs. 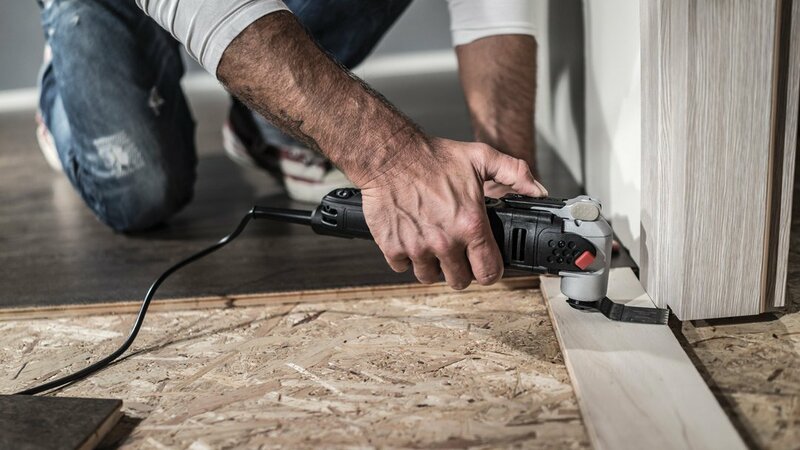 The clamping head pivots up to 90 degrees, and even has a small built-in level so you know when the clamp is perfectly horizontal. A protractor scale stamped into the side of the pivoting head makes it easy to accurately lock the head at any angle between zero and 90 degrees. The upper edges of the clamping jaws are topped with half-round resilient plastic covers that provide an ideal sliding surface for use as an outfeed support for table saws, planers, jointers, router tables and other stationary tools. plastic-lined jaws without drifting to the left or right. The JawStand XP is height adjustable from 29 in. to 43 in., and has a micro-adjust hand crank with a 2 in. range for adjusting the height to the exact right position. In fact, that’s what XP stands for, Exact Positioning. The portable, super-versatile JawStand XP weighs 15 lbs. and cost about $80. Get one for your next project and see all the ways it can make your life easier.